After having this book sitting around for so long that the pages are turning yellow,(in which case Id have to sit right under the lamp to read it) I decided it was time to give it a go. Well this book totally took me by surprise as in I wasnt expecting what I assumed it would be judging by the cover.This time it got me in a good...and not so good way. 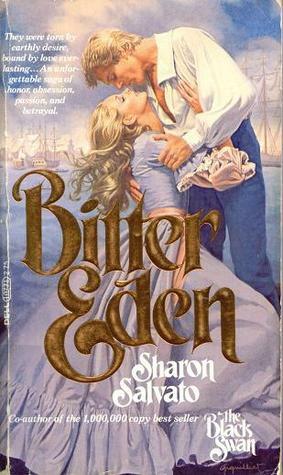 First off,the cover is very misleading as to what the story/romance/characters are about. It was very well written..hence I give it the 4 stars for that alone,but it was more of a historical fiction with very little romance between those two on the front of this beautiful cover.And without giving away the story there were lots of other unexpected twists & turns and tragic events that also lead to a very unsatisfied and sad ending for this romance reader. This book could have been a five for me, if only there was more of a romance between the two main characters. The cover is beautiful, but misleading. IMHO, I feel it wasn't so much a romance as it was women's historical fiction. It is very well written, but the story was too tragic. I was left unsatisfied with the ending, as there was no real HEA.